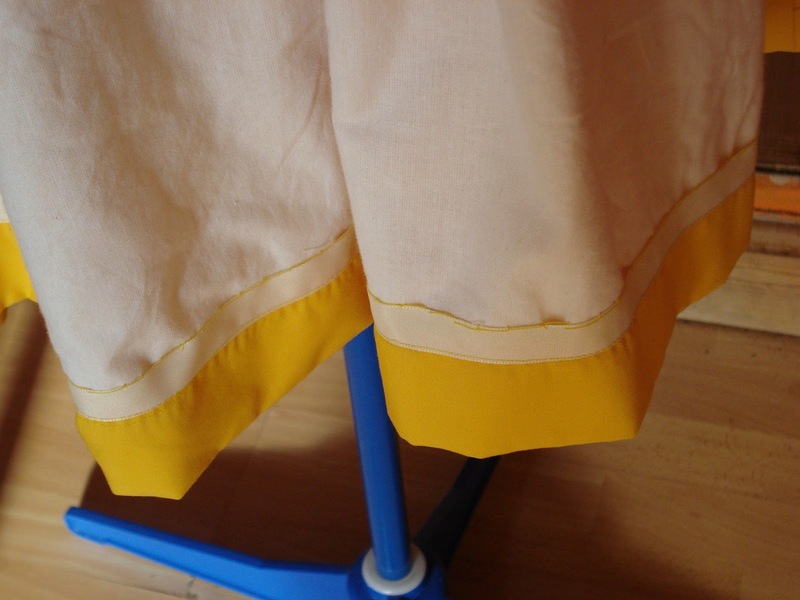 Miss J Sews! 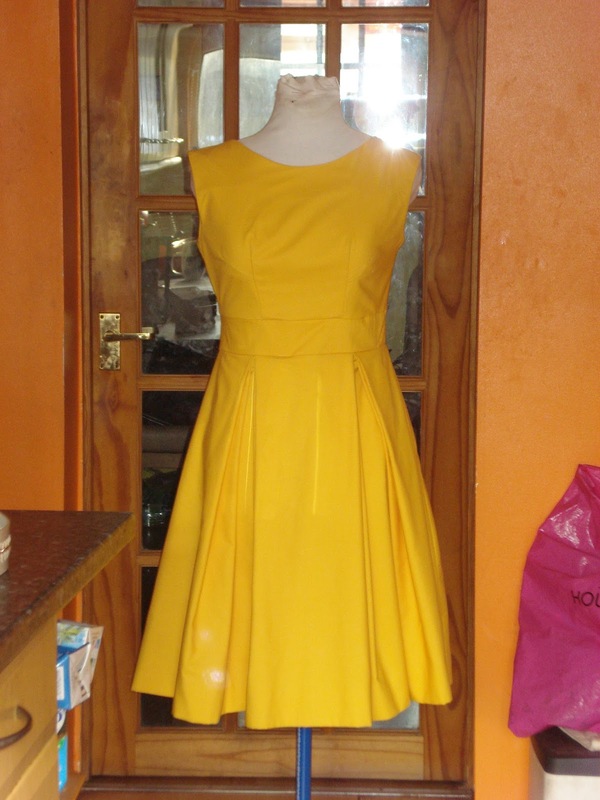 : Wow-That Dress Sure is Yellow! 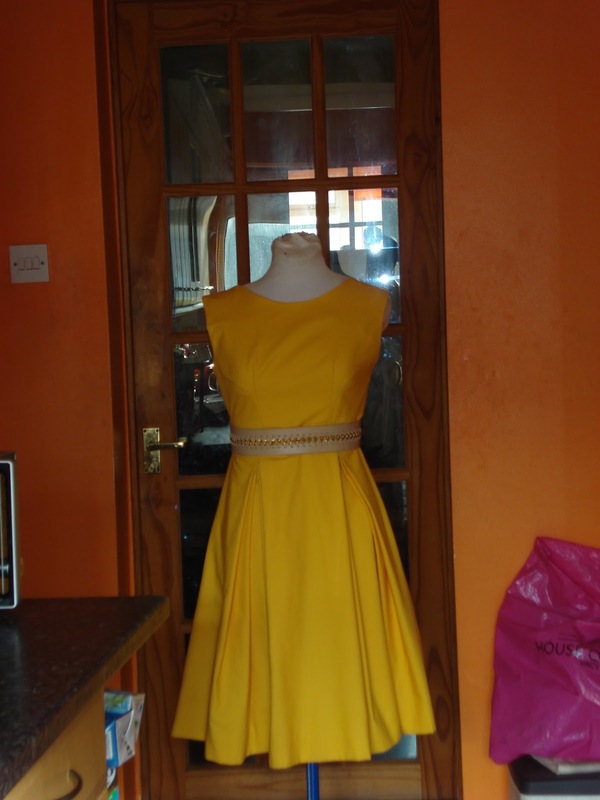 A very Mellow Yellow dress, such a happy colour. Yes, I do remember this pattern and the other dress in the cherry print fabric. 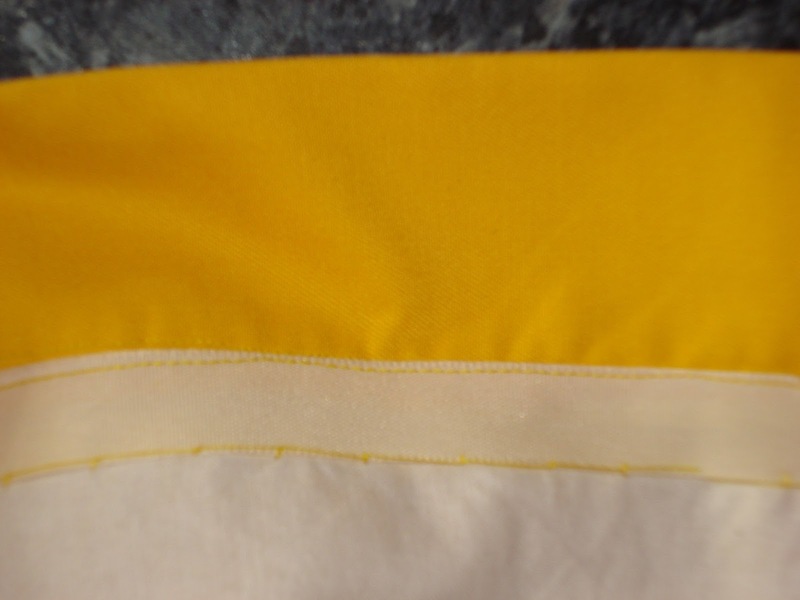 The hem ribbon is a very pretty detail, though it requires finger numbing hand-sewing, it's always worth it. 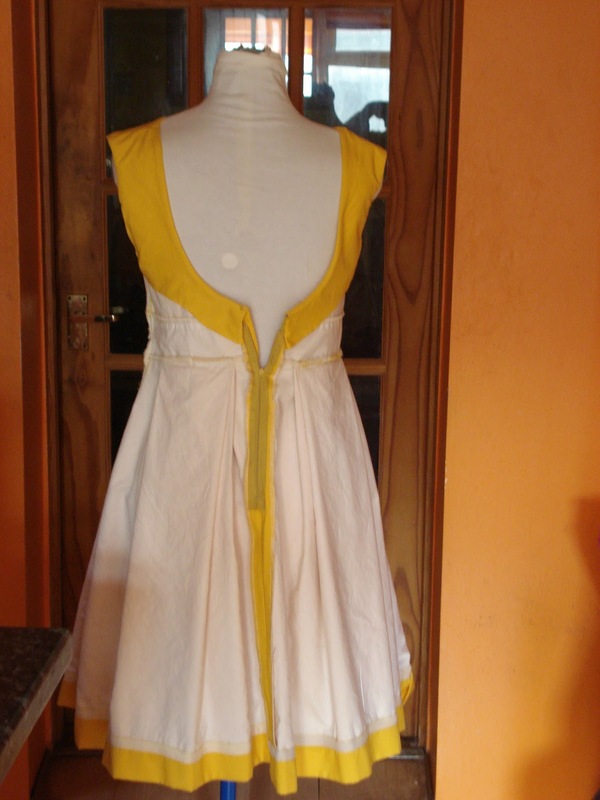 I love the scooped neckline at the back, very elegant. 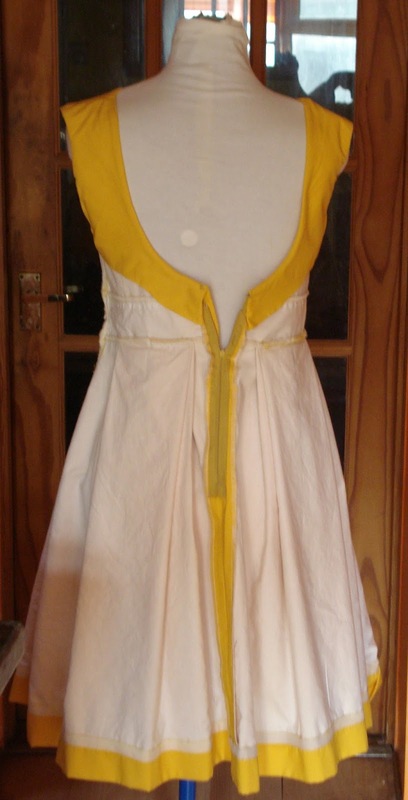 I love that yellow! And it is a lovely style! Nice work with the dress, such fine details inside and out.